Here you’ll find all of our recommendations for related businesses and services. Have a click through each tab – there’s lots of amazing services and websites referenced here! An illustrator and graphic designer with experience in laser cutting. Tiffany can provide a complete service for custom jewellery design – including custom illustrations and branding, all the way through to laying out laser ready vector files suitable for Vector Etch. Based in Brisbane, Australia. An illustrator and graphic designer with a focus on design and file prep for laser cutting. Amy has a really fantastic web-page describing (with pricing examples) for her Laser Cutting & Etching Design Services. Based in Brisbane, Australia. Laser cut jewellery making workshops, typically in major Australian cities. Designs that we’ve created that could be purchased and laser cut (note: these are designs only and will need to be formatted further to be laser ready). Shop our expanded range of designs. A great source of templates for silhouettes and icon illustrations. Good quality and reasonably priced.Check out our book marked collections of designs that could be great starting points for jewellery designs.  The industry-standard vector graphics software lets you create laser ready files easily and quickly. Buy Adobe Illustrator. A FREE program that is similar to Adobe Illustrator. If can be accessed via web browser on any type of device (such as a phone or tablet). We commonly work with files made in this program and they seem to work quite well. Just note, they also have a paid Pro version, you can start a trial on that and when it expires you automatically revert to the free version (no credit card needed). Access Gravit. A free alternative to Illustrator that has similar features. In our experience is a little less intuitive to use (when compared to other programs) and can cause glitches with laser files (such as sizing issues, colours changes…). Access Inkscape. Another option that is suitable for laser cutting file setup. Buy Corel Draw. Get in touch. We’d love the opportunity to help.